Happy first day of summer! 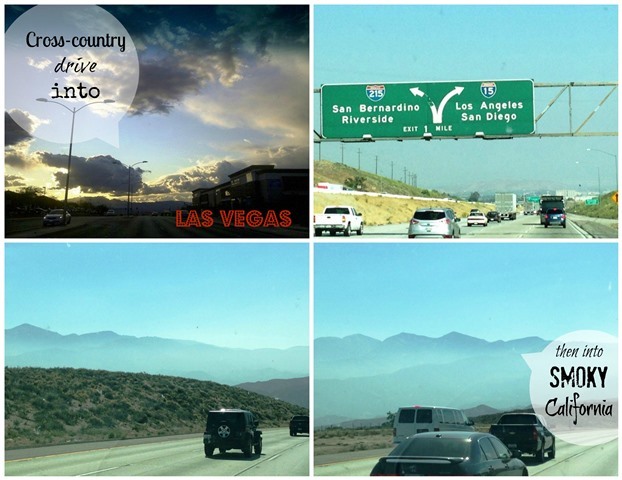 Why don't we end the week with a look back at our recent 3,000 mile cross country road trip we did about two weeks ago from New York City to California? Driving about 8-9 hours a day making the drive in roughly 5 1/2 days. As much as it pained my heart to leave our hometown NY...after spending our winter and spring mostly flying endlessly back and forth from the east coast to the west coast for the hubby's business, we thought it'd be best to just relocate to the west coast. As nerve-racking as that is, we're hoping all our years of coming to the west coast coupled with our adventurous spirit will make the transition much easier since we're very familiar with many areas of Cali already. What we're really hoping for being on the west coast is to cut back on constantly being on a plane wasting time and money that can be used for real vacations. We're jet setters, but we'd rather be flying out of the country enjoying the other side of the world as opposed to just within the U.S on work trips. One of the delights of driving across the country is the different landscapes, cultures and the change of climate you get to experience. 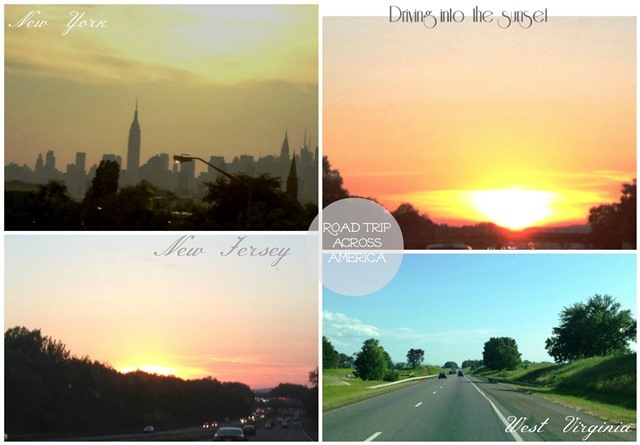 What we found interesting through this journey across the states is not only how vast and flat the country is, but also how you can go from a long stretch of driving through a forest to super lush green to ultra-barren, or sometimes serpentine hilly roads. 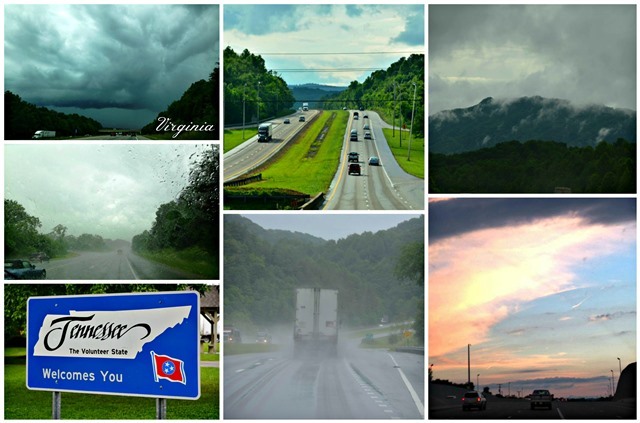 There were times on this drive (such as driving through Virginia) that we were going through torrential downpours and could not see anything in front of you! That was pretty scary. We also saw first hand how damaging the tornado in Oklahoma was. Tractor trailers were intertwined with steel fences in what looked like vermicelli pasta. 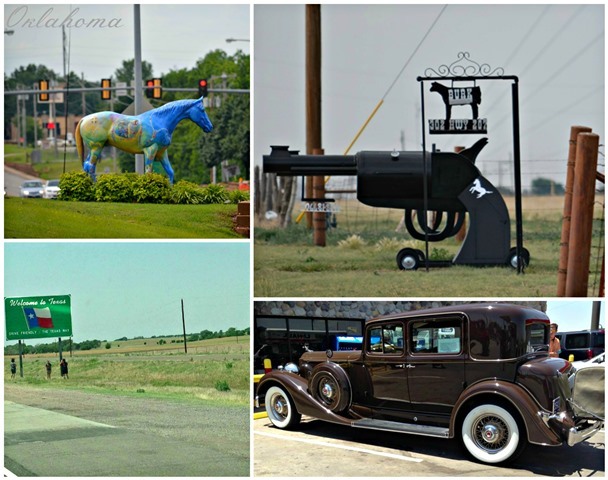 We were trying to make sure that we did not have to spend the night in Oklahoma, but as night fell and sleepiness overtook us it was unavoidable. What made that stop unnerving was hearing all the news casters warning about tornados and flooding. As we finally nestled into bed to rest... the heavy rain started falling, the high winds picked up, and hail started to pelt the hotel window. Needless to say I barely slept that night (while the hubby slept like a baby) as I was convinced that we were going to get sucked into some funnel cloud into the sky never to see tomorrow. Obviously and thankfully, we survived the night and for the most part enjoyed the long drive for the day. Long drives (especially in a U-haul) tend to get uncomfortable. That's why it's important to make the journey as enjoyable as possible by taking pit stops to explore and stretch. Each pit stop offered interesting scenery (as I tried to highlight in these photos.) 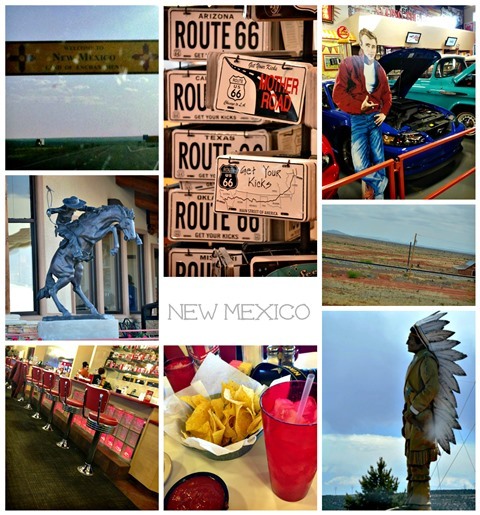 The most unexpected and enjoyable pit stop for gas was in New Mexico. As we went in to check out this café connected to the convenience store, we stumbled upon a museum of old vintage classic cars which was such a pleasant surprise and gem to experience. It's definitely a spot that can easily be missed as there are no signs advertising its location. It is located on Interstate 40 not too far in after entering the NM border. As I said, we found it because we needed to stop and fuel up. Even when you walk in the store, you still can't see it. You have to walk into the back of the store and right next to the bathrooms is this unexpected 8,500 square foot vintage auto museum (called Russell's classic car museum). We couldn't stop taking pictures, which I'll share with you in another post... yippee! something to look forward to, eh? ;) What's more, the café is a throwback to the 50s style restaurants and actually had pretty good food considering it was in the middle of nowhere. The food tasted as if "you're at someone's house eating a good homemade meal" and was actually one of our best meals on the road. These are such moments that definitely make life interesting and are fun additions to add to our slew of travel scrapbooks. What I'm most grateful for as road trip veterans and adventurers are these two things... 1) the ability to not let fear come between us doing the things we love in order to grow, progress and ultimately makes us happy. 2) Also seeing the vastness of such a beautiful country builds an appreciation for it and for life - helping me realize how tiny we are in the grand scheme of things and that there's more to life than just our little existence; more than our own little "bubble". How about you? 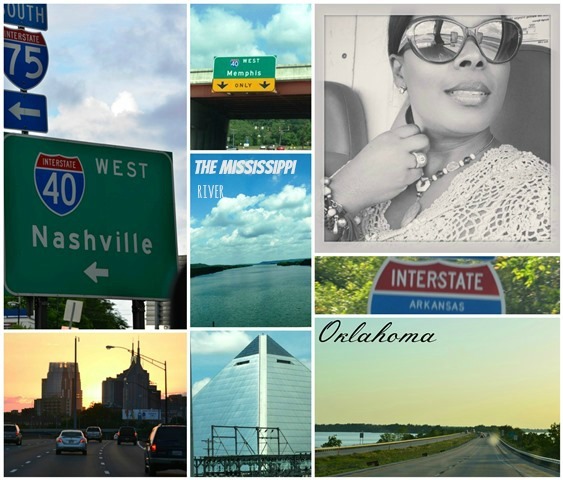 Have you had the chance to drive across country? What did it help you to appreciate? P.S. Did I mention that was our 5th cross country road trip over a span of 16 years? We traveled different routes each time. And on this road trip our U-Haul truck got a flat in the middle of Boonesville ...we had to wait three plus hours for roadside assistance to get it fixed. BA-NA-NAS, right! ?